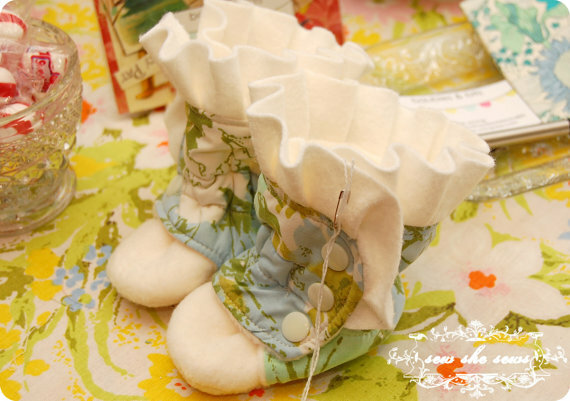 Our baby booties are made with permission from Jaime Young of Sew She Sews. 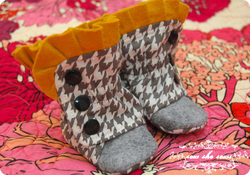 Vintage baby booties are available in three sizes: 0-3 months, 3-6 months, and 6-12 months. When placing your order, there will be a point at which you can add special requests. 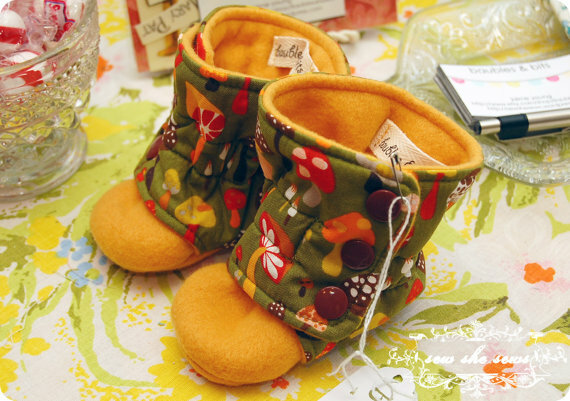 At that time, please specify which size booties you want. You can also request specific colors or elements (bugs, flowers, puppies, etc.) you would like Liz to include. Please also include your email address and/or telephone number so that Liz can reach you if there are any implications or questions about your order. If you do not include your contact information, it will be virtually impossible to fill your order to the best of our abilities.